The annual Holiday Party will be Wednesday, December 14th at 7:00PM. 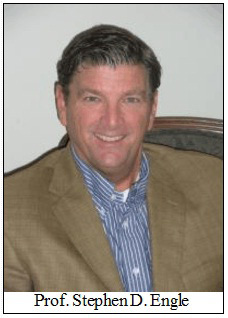 Our speaker will be the renowned author, Robert Macomber. Each Round Table member is asked to bring an appetizer, salad, entrée, dessert, paper goods, or beverages. Guests are invited. Please come and join in the festivities. Any donation to the December raffle will be appreciated. It does not have to be a Civil War related item. One of the prizes for the raffle will be a $50.00 gift card to Publix. Thank you to everyone who donated to the Speaker’s Fund. With your generosity the Round Table will continue to be a vital, thriving organization. Program: "Ralph Semmes --The Forgotten Cousin"
Robert Macomber will talk about Alexander Semmes, cousin of the legendary Raphael Semmes of the CSN. They were raised together as brothers and served in the USN together from the mid-1840s to 1861. Alex stayed in the USN, Raphael went south. Alex fought in Florida and had a reputation as a hard-charger and was very successful. Of course, we all know how his cousin turned out. 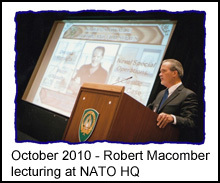 Bob does not really need an introduction when he stands up to speak, but your editor feels that his seventh visit deserves the "full treatment:" Robert Macomber is an internationally recognized award-winning maritime writer, lecturer, television commentator, and defense consultant. He is a continuing lecturer in the Distinguished Military Author Series at the Center for Army Analysis at Fort Belvoir, near Washington DC, and has presented at the U.S. Southern Command’s Notable Military Author Series, the West Point Society, NATO Headquarters (SHAPE) in Belgium, the U.S. European Command in Germany, and at the Office of Naval Intelligence. He is also a maritime commentator for Florida PBS documentaries. His lectures span 39 various maritime and literary topics. Mr. Macomber is the author of the acclaimed Honor Series of naval novels, with fans (who call themselves "Wakians"---after his main character, Peter Wake) across North America and Europe. His literary awards include the Patrick Smith Literary Award for Best Historical Novel of Florida (At the Edge of Honor), the John Esten Cooke Literary Award for Best Work in Southern Fiction (Point of Honor), and the highest national prize in his genre, the American Library Association’s 2008 W. Y. Boyd Literary Award for Excellence in Military Fiction (A Different Kind of Honor). He is guest author at regional and international book festivals. His seventh novel, The Honored Dead, came out in 2009 to rave reviews in the United States and Great Britain, and considerable interest in the film industry. Wakians are eagerly awaiting tenth novel in the Honor Series---Honorable Lies---which will come out in October of 2012. Prof. Stephen D. Engle’s topic was, "Abraham Lincoln's Crisis of Federalism." What was called the "Loyal War Governors’ Conference," held in Altoona, Pennsylvania on September 24 and 25, 1862, is often overlooked in the history of the Civil War. It is Professor Engels's thesis that it played a crucial role in the policies of President Lincoln and in a sense created a new kind of "federalism." that persists to this day. In the fall of 1862 two events occurred almost simultaneously that would open the door for President Lincoln to issue his Emancipation Proclamation, which he had been holding back, waiting for Union victory. The first event was the Battle of Antietam, which could be classified as a Northern victory, albeit a bloody one, on September 17, 1862, which converted the Proclamation from an action born of desperation to a one converting the war for freedom. On September 22, 1862, the President issued a "preliminary" Emancipation Proclamation stating that all slaves in rebellious territories would be free if the Confederates did not cease fighting by January 1, 1863. The second event was a meeting of 13 Northern governors, either in person or by representatives, from Illinois to Maine, hosted by Governor Curtin, starting on September 24, 1862. 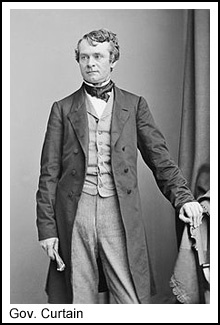 Curtin, seeing the need to support Lincoln and the war effort, on September 6, 1862, sent a letter to the other Northern and border state governors, in which he wrote, "In the present emergency would it not be well if the loyal governors should meet at some point in the border States to take measures for a more active support of the government." The initial topics of the meeting included ways the Governors could support the Preliminary Emancipation Proclamation and how their individual states could aid the war effort. Most of the governors wanted Lincoln to remove General McClellan. Twelve of the governors signed the address to be presented to the President. Only Governor Augustus Bradford of Maryland declined to sign it, probably because Maryland was still a slave state. For security reasons, no minutes were kept, which may explain why this significant event is often overlooked by historians. The governors then went to Washington, D. C., on September 26, 1862, to present an "address" to the President. This document included an agreement by the governors "to continue in the most vigorous exercise of all our lawful powers, contending against treason, rebellion and the public enemies until final victory and unconditional submission." The address also promoted "the military education of the people." Lincoln welcomed the governors’ suggestions regarding management of the war effort, including recruiting, transport, etc. 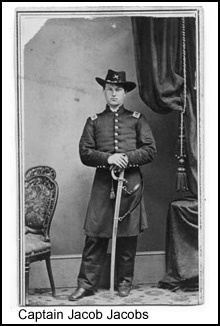 However, when Governor Samuel Kirkwood of Iowa stated that General McClellan was unfit for command, Lincoln promptly closed the meeting without committing himself one way or the other. It is not a surprise that, bolstered by the support of the War Governors, within two months after this meeting, General McClellan found himself dismissed and on January 1, 1863, the formal Emancipation Proclamation went into effect, effectively putting an end to any thoughts that England and France might have had about recognizing the Confederacy. When this address was circulated to other Northern governors, the governors of Connecticut, Kansas, Minnesota, Ohio and Vermont gave their approval, but the governors of Delaware, Kentucky and Missouri (all still slave states) and New Jersey and New York declined. A rousing hand followed an equally engaging question and answer session. Brother against brother, Jew against Jew, 10,000 Jewish soldiers fought in the nation’s deadliest war, in numbers proportionally higher then other American groups. Jewish Soldiers in Blue & Gray explores the little known history of the Civil War Jews who fought on both sides of the battlefield—7,000 for the Union and 3,000 for the Confederacy. Allegiances during the War Between the States split the Jewish community as deeply as it did the nation at large: some prominent Jews, including Jewish slave owners, cited the Torah to justify slavery, while others were leaders in the abolitionist movement or established their synagogues as stops on the Underground Railroad. Jewish Soldiers in Blue & Gray unreels remarkable history, including Ulysses S. Grant’s infamous "General Order No. 11" expelling Jews from Kentucky, Tennessee and Mississippi; the rise of Sephardic Jew Judah P. Benjamin to Secretary of State of the Confederacy; the imprisonment of Confederate spy Eugenia Levy Phillips; and the unlikely story of Abraham Lincoln’s Jewish doctor who moved through the South as a Union spy. The picture at the right is of Captain Jacob Jacobs of the 83rd New York Infantry, who commanded the regiment's artillery company. He was wounded in action on the first day of the Battle of Gettysburg. In 1896 he became a founding member of the Hebrew Union Veterans Association (forerunner of the Jewish War Veterans). This 86-minute dramatic and visually rich film, narrated by Oscar-nominated screenwriter John Milius (Apocalypse Now) with Sam Waterson (Law & Order) voicing Abraham Lincoln, will be shown at 1:00 PM, Sunday, December 11, at Cobb Downtown (North Palm Beach) and at 11:00 AM, Friday, December 16, at Regal Delray 18 (Delray Beach). Gary W. Gallaghan, The Union War. A prominent historian tries to explain why Northerners fought and died to preserve the nation’s unity. Amanda Foreman, A World on Fire – Britain’s Crucial Role in the American Civil War. This book explores the unfamiliar war waged for English hearts and minds, both at the elite and popular levels. Adam Goodheart, 1861. This book "does what David McCullough’s 1776 did for the American Revolution." The New York Times –Complete Civil War (1861-1865). 600 articles, commentaries by well-known historians and 100,000 articles on DVD-ROM. Gary W. Gallagher, The American Civil War. This is not a book but 24 hours of lectures and thousands of pictures and maps on DVD available from www.salegreatcourses.com or by phone: (800) 832-2412. The sale price for Course No. 885 was $69.95 [original price: $519.95 (DVD)]. Course explores not just the military conflict but the social and political history of the nation before, during and after the war itself. Call and ask for the sale price! 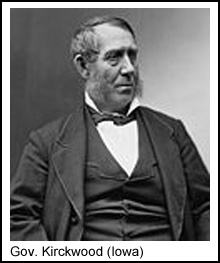 Arthur T. Downey, Civil War Lawyers. The key members of Lincoln’s cabinet were all lawyers, as were Lincoln’s key diplomatic appointees. Contains over 100 biographies and photographs and cartoons. Michael T. Bernath, Confederate Minds. A sweeping overview by a University of Miami professor of the neglected intellectual and cultural currents accompanying the Southern struggle for political and national independence. The U. S. Coast Survey recently released its Civil War-era maps under the digital collection entitled ," Charting a More Perfect Union." To see it, go to www.nautical-charts.noaa.gov/history/CivilWar/.